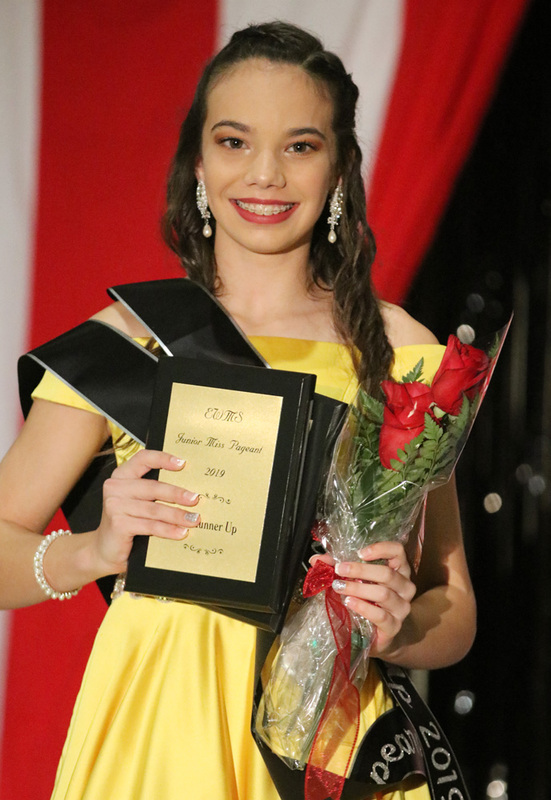 Carsyn Laine Dortch was named Miss Ernest Ward Middle School Saturday night in a “The Greatest Show” themed pageant at the school. 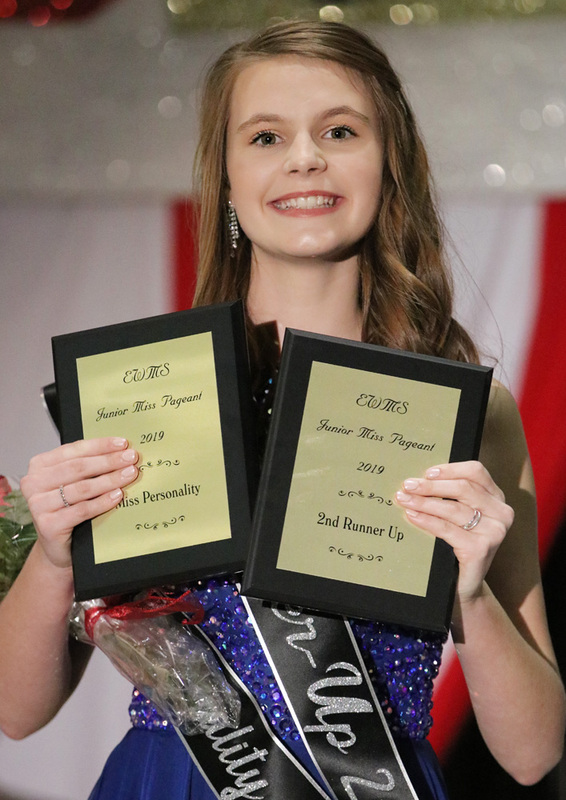 Third runner-up was Jamison Abigail Gilman, second runner-up was McKenna Rae Simmons, and the first runner-up in the annual pageant was Emma Sage Gilmore. 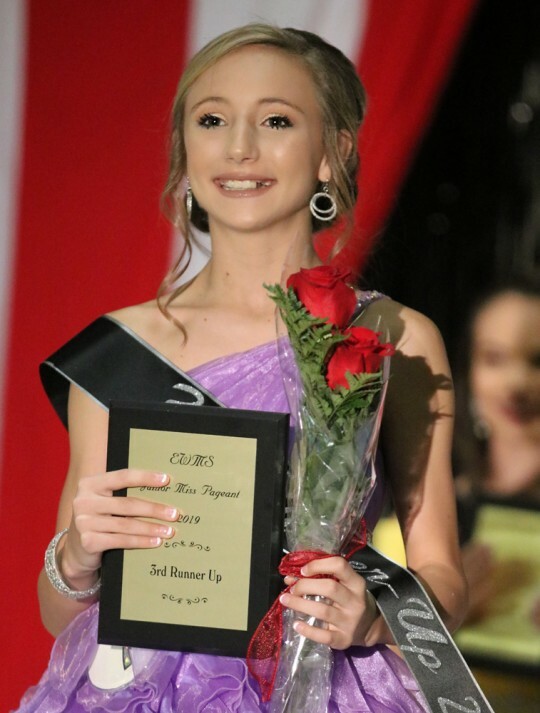 The Personality Award went to McKenna Rae Simmons; Miss Hospitality, the People’s Choice Award and the Physical Fitness Award to Jessica Faith Stabler; the Poise and Appearance Award to Emma Sage Gilmore; and Miss Congeniality to Carsyn Laine Dortch. For a NorthEscambia.com photo gallery from the pageant, click here. Pictured top: Miss Ernest Ward Middle School Carsyn Laine Dortch. 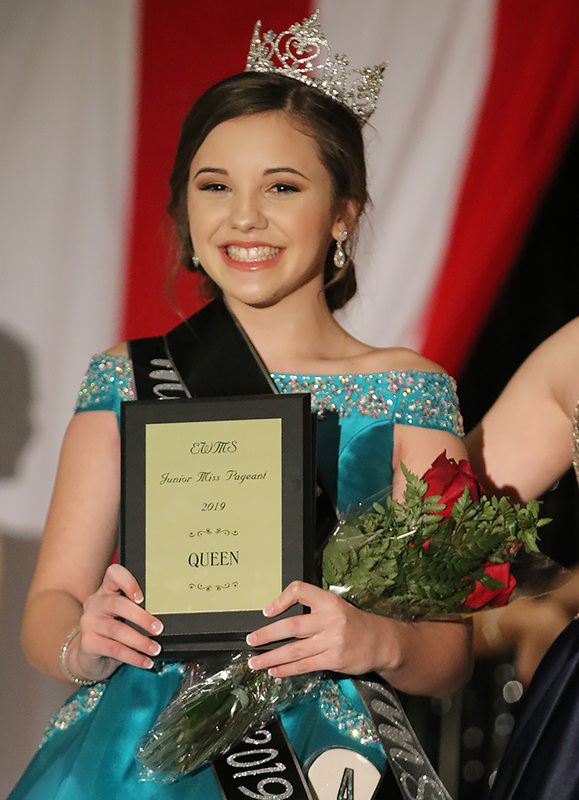 Pictured below in descending order: First Runner-up Emma Sage Gilmore, second runner-up McKenna Rae Simmons, and Third Runner-up Jamison Abigail Gilman. NorthEscambia.com photos, click to enlarge. Absolutely beautiful girls! Congratulations Carsyn. There were five or six girls that left with awards, but every one of these girls are winners. This includes the young ladies that performed at intermission times. As I watched all of these girls perform last night I thought how this pageant is only one step in their preparation for the future. By them stepping out of their shyness or fear of performing in front of a crowd of people, it will help them in everything they do in life. Oh yeah, the lady that puts this on every year is awesome!! Just sayin’.